The annual countdown begins for global art connoisseurs as the star-studded Art Basel Miami Beach (ABMB) is held December 6-9. Just what to see and where to go? 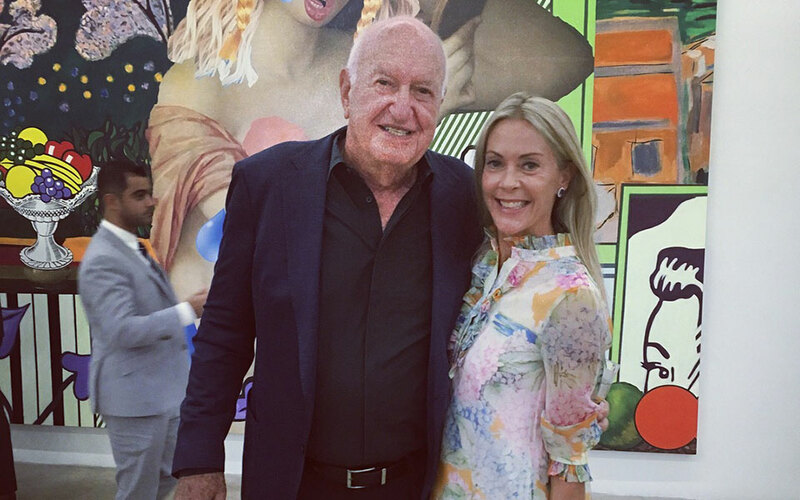 Art Basel magazine Editor in Chief Sue Hostetler reveals her tips to navigating the show and lists 2019 trends and artists to watch. Todd Murphy, Simone Leigh (recent winner of the prestigious Hugo Boss Prize), Ebony Patterson, and Alex Israel (who will have a large, one-person exhibition with Gagosian in 2019). Top trends anticipated at Art Basel Miami Beach? At both the fair in the convention center and at many of the local institutions, look for a reconsideration of formerly outsider and/or self-taught artists previously considered on the margin. Within the main fair, a group of dealers are dedicating their booths to artists of diversity. Check out James Cohan Gallery’s exhibition of Addis Ababa, artist Elias Sime, Cape Town-based Blank Project’s presentation of Billy Zangewa’s work in the Nova sector, and NYC dealer Peter Blum’s inclusion of Joyce J Scott’s work, which incorporates West African weaving. Additionally, Chicago gallery Kavi Gupta will dedicate his booth to the work of the group AfricaCOBA—African Commune of Bad Relevant Artists. Concurrently, The MOCA in North Miami will also have a show by AfriCOBA, and the work of the little known, 72-year-old Viennese artist Rudolf Polanzsky is included at the Rubell Family Collection’s new exhibition. Gracing the cover of the new Art Basel issue is the fabulous assemblage work of artist Deborah Roberts, which investigates both race and gender. And you’ll also see a focus on female artists. Perhaps most prominent is a retrospective of the legendary Judy Chicago’s work at the Institute of Contemporary Art (opening Tuesday, Dec 4). What are you most excited to attend this year at ABMB? The Abraham Cruzvillegas project, curated by Philip Kaiser and Tim Griffin of the Kitchen, in the new Grand Ballroom at the Convention Center. The Tomás Sarceno project on the beach, investigating climate change and produced by Audemars Piguet. The Gagosian/Jeffrey Deitch Pop Minimalism Show at the Moore Building. Simple. Come to see the art. Don’t come for all of the parties, or to go to the beach or for things you can do other times of the year. You’ve got the best art from all over the globe in one city for a week—take advantage of it. And prep for the traffic, but don’t let it keep you from visiting more far-flung locations like Wynwood or Palm Beach to visit Beth Rudin’s The Bunker. FAVORITE MIAMI HOTEL: The Setai. It’s always such a welcome respite from the madness and lunch by the pool or drinks in their chic courtyard is divine. TOP TABLE: Casa Tua. Every year it’s my stop after the fair’s VIP preview day. Don’t miss the spectacular Italian food and bellinis in the lovely garden. FAVORITE MIAMI STORE: The Webster on Collins Ave. It’s the most well-curated selection of fashion in the country. I also love the design district. Craig Robins has built such a special shopping environment. The multi-level Gucci store is heaven on earth. HOTTEST PARTY: Aby Rosen’s annual Thursday night dance party at The Wall in the W Hotel. At 3 a.m., you’ll see big name dealers, collectors and artists letting loose on the dance floor. Subscribe to our newsletter and receive occasional company updates, jet card news, and deals. Sentient Jet will use the information you provide in this form to be in touch with you and to provide updates and marketing. You can change your mind at any time by clicking the unsubscribe link in the footer of any email you receive from us, or by contacting us at hello@sentient.com. We will treat your information with confidentiality and respect. For more information about our privacy practices, please visit https://sentient.com/legal. By clicking the subscribe button above, you agree that we may process your information in accordance with these terms. 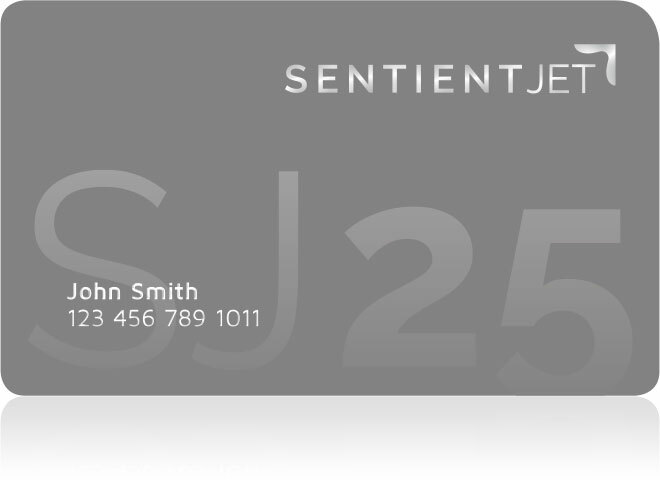 The Sentient Jet 25-Hour Card and Sentient Jet 25-Hour Plus Card are programs of Sentient Jet, LLC (Sentient®). Sentient arranges flights on behalf of jet card clients with FAR Part 135 direct air carriers that exercise full operational control of charter flights at all times. Flights will be operated by FAR Part 135 direct air carriers that have been certified to provide service for Sentient jet card clients and that meet all FAA safety standards and additional safety standards established by Sentient. Learn more about how we can transform your travel. Complete the following information and a Jet Card sales expert will contact you. One of the many perks of becoming a Sentient Cardholder is the ability to access travel plans anytime, anywhere with the Sentient Jet mobile app. 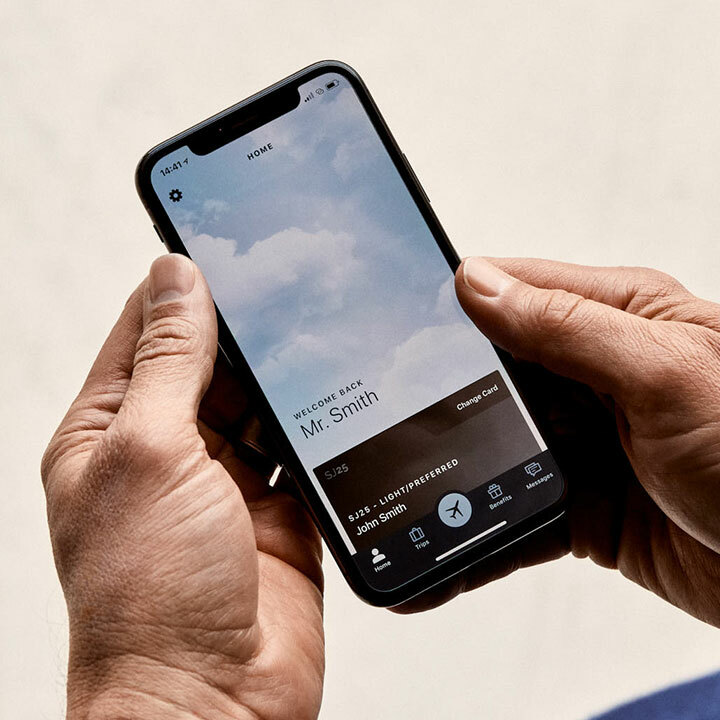 You’ll be able to instantly book trips, take advantage of exclusive benefits, and much more right from your favorite mobile device. Want to learn more about our safety program? Stay up to date on Sentient Jet happenings, products, partners and industry news with the Sentient Jet newsletter. The newest aircraft available in the market, model year 2000 or newer. High-quality aircraft manufactured in model year 1999 or before, offering a greater value without compromising on comfort or safety.